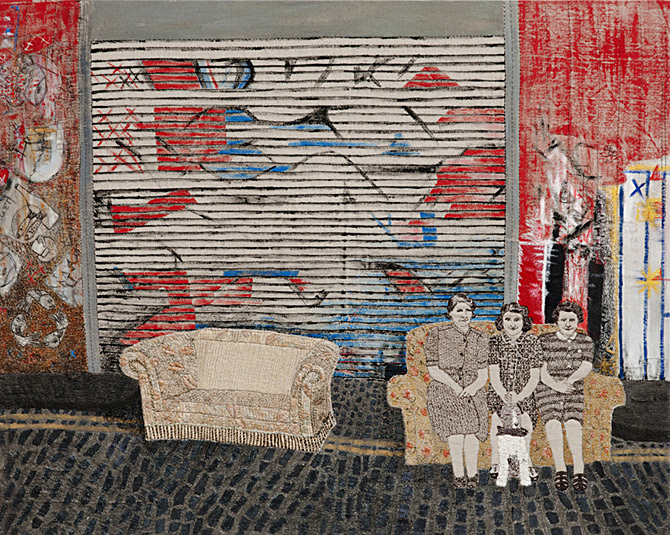 Sue Stone is a UK based textile artist who works mainly in hand stitch, machine embroidery and mixed media. 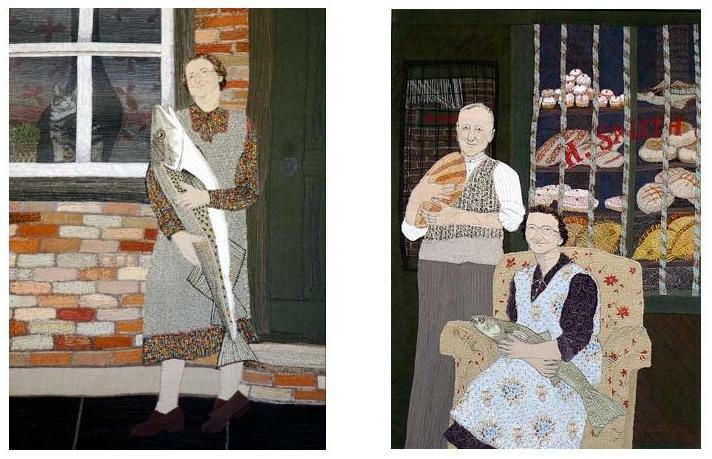 She is a member of the 62 Group of Textile Artists and the Society of Designer Craftsmen. Born in Grimsby, Lincolnshire, Sue Stone studied Fashion at St Martins School of Art and then Embroidery at Goldsmiths College in London in the 1970s. There she was taught by Christine Risley, Eirian Short and the indomitable Constance Howard, all of whom have had a profound influence on her working practice ever since. 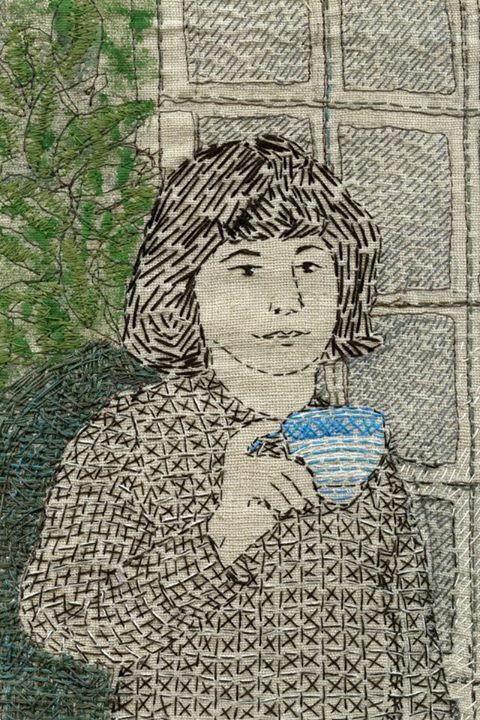 Using hand and machine embroidery as a means of mark making, her inspiration is drawn from subjects both past and present, all with some connection to her own life and environment. 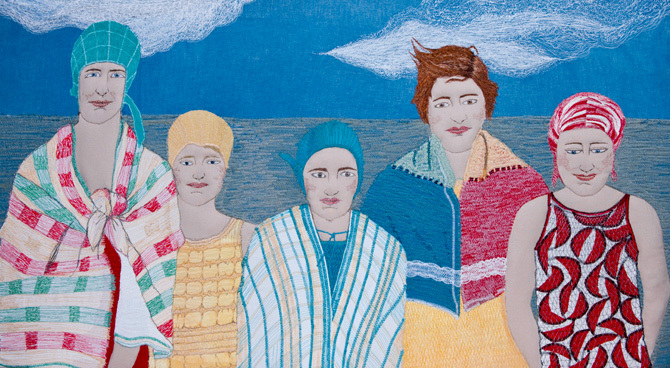 Her work lives in limbo somewhere between the angst of fine art and the therapy of making and is often figurative and regionalist, usually narrative and sometimes has a surreal sense of humour. 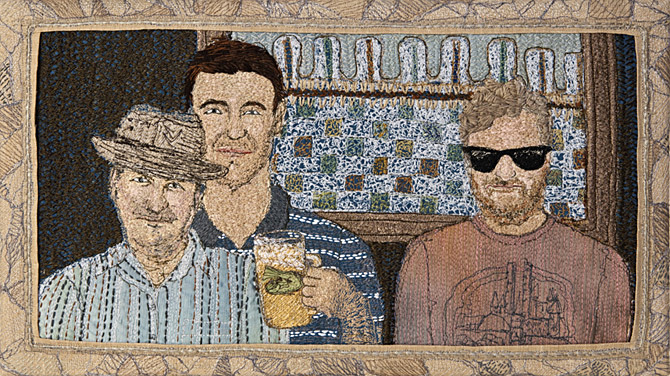 Sue find the inspiration for her art anywhere and everywhere, from the obscure and unexpected to the intimate and familiar, the unusual, the exotic, the bizarre, the world within or the world without. 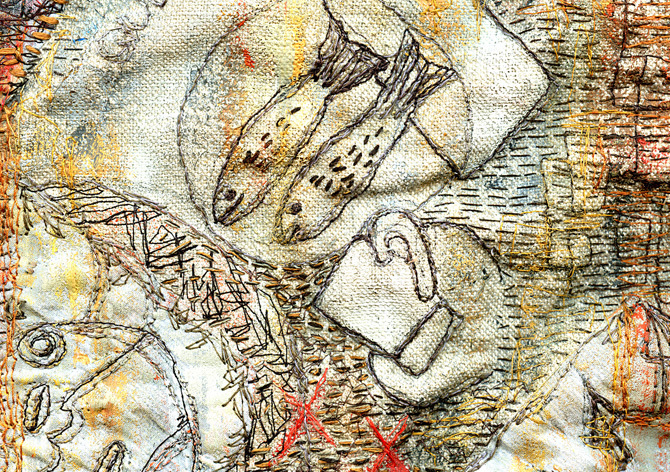 Machine Stitch: Perspectives by Alice Kettle and Jane McKeating, published by A & C Black. Absolutely LOVE your style and your pieces. Beautiful.